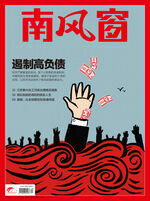 South Reviews Magazine, established in 1985, is a Guangzhou-based political and economic biweekly. It is a subsidiary of Guangzhou Daily News Group, the largest news group in China. The vast majority of the readers are the essences in government organizations, academic institutions and large-scale enterprises.? South Reviews has a circulation of nearly 660,000 copies each issue, the largest among Chinese political and economic news magazines with wide coverage of the whole country. It is the only one magazine that achieve a great success in both subscriptions of the government-oriented and the market-directed. The US magazine Time described South Reviews as "a highbrow news magazine". Other international media organizations such as BBC and NHK have conducted tracking shots of South Reviews journalists, to record their unique value special position in China’s media industry. Harvard-Yenching Library, Stanford University's East Asia Library and UC Berkeley Library have collections of the magazine since its first issue, taking them as an important source to understand China's economic and social reform.? 营销副总监? ?/ ?王　辉　电话? ?/ 18911888117? ?